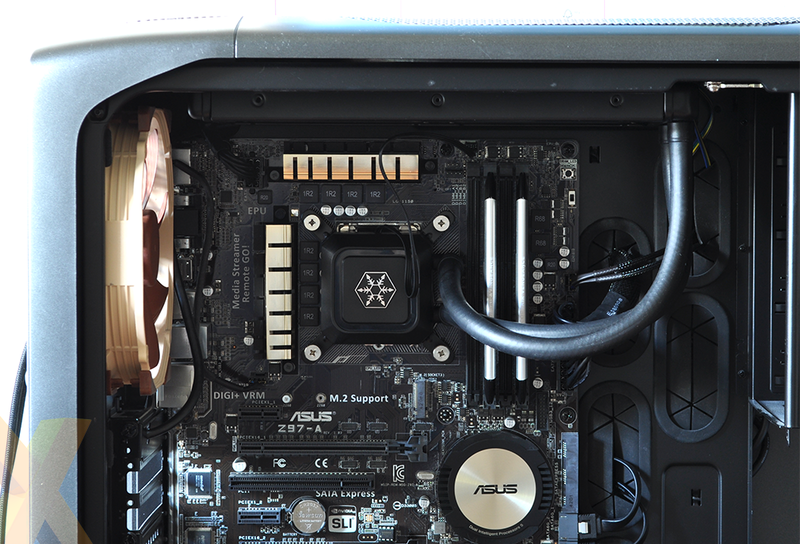 Got your heart set on a small-form-factor PC build? Then SilverStone is a manufacturer you should have on your radar. The Taiwanese firm has championed unorthodox PC enclosures for many years and, having become a go-to supplier of compact chassis, has expanded its portfolio of products to include an array of compatible hardware. Compact SFX power supplies and low-profile CPU coolers are already available, and SilverStone is now ticking another box by putting forth a 240mm liquid cooler designed to fit into tight spaces. It's called the Tundra TD02-Slim and retails for around £60, which is the going rate for an entry-level all-in-one cooler outfitted with a 240mm radiator. What makes this particular cooler better suited to smaller PCs? 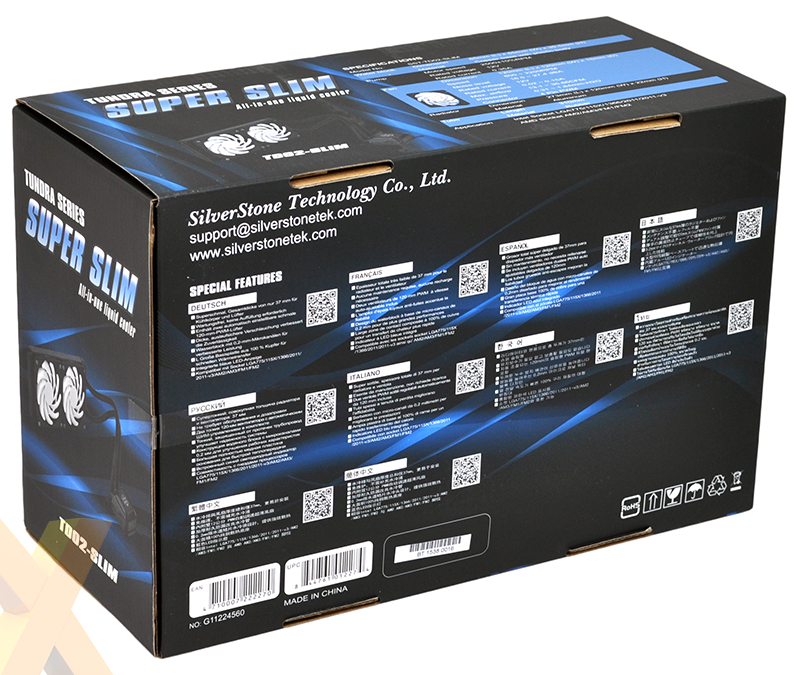 The 'Super Slim' slogan splashed across the box is a bit of a giveaway, yet it isn't merely hyperbole. This variant of the TD02 features ultra-thin fans and a slimmed-down radiator that combine to create a total width of just 37mm - handy if there's only so much room to play with. Remove the goods from the packaging and there are no unexpected surprises. Like many all-in-one coolers, SilverStone's closed-loop solution is pre-filled and well-put together, taking away some of the complexity and risk associated with more elaborate liquid coolers. 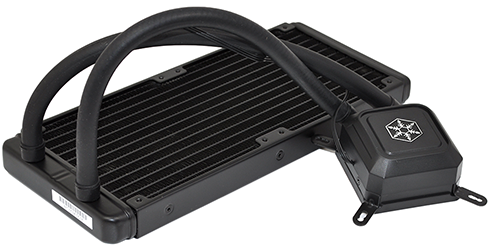 The radiator, measuring 273mm (L) x 120mm (W) x 22mm (H) in size, is connected to a reasonably small pump/contact plate via 310mm rubber tubes and the attachments at the CPU end are rotatable to aid installation. SilverStone's copper base appears suitably smooth and on top there's a blue LED illuminating the SilverStone logo during use. 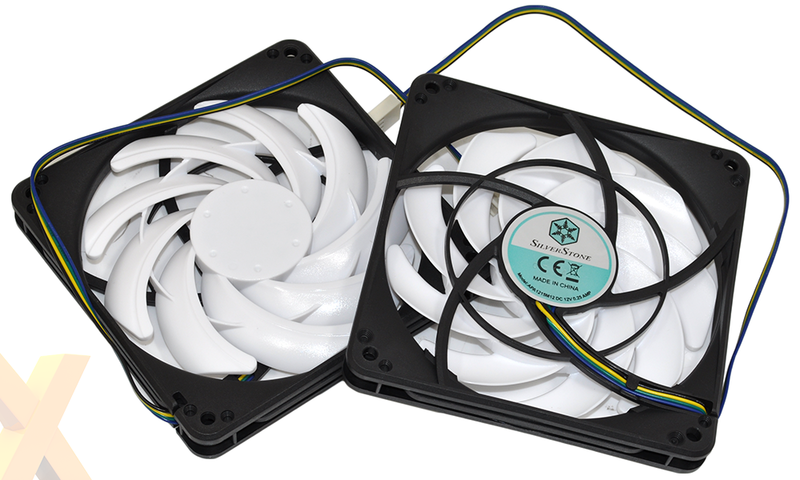 In order to achieve the 37mm total thickness, the bundled fans need to be particularly svelte. The provided 120mm duo measure just 15mm around the mid-section, yet are capable of hitting speeds of up to 2,200RPM and are hooked-up via a four-pin PWM connector. 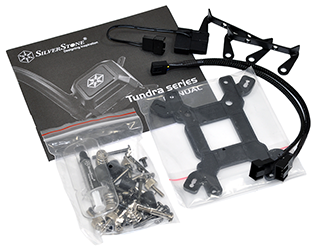 Paying attention to the details, SilverStone includes a Y-splitter cable in the box, making it easy to attach both fans to a single motherboard header. This is particularly useful in small-form-factor builds, where onboard headers are at a premium, and we like the fact that a small tube of thermal paste is included, enabling subsequent reinstalls. The bundle's only obvious shortcoming is the relatively short two-year warranty. 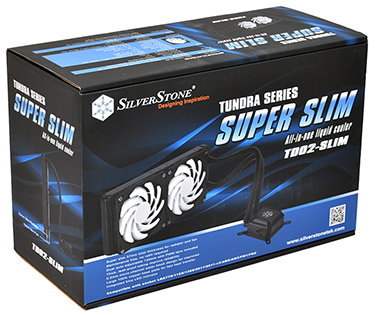 One advantage of all-in-one liquid coolers is hassle-free install and the TD02-Slim is no exception. 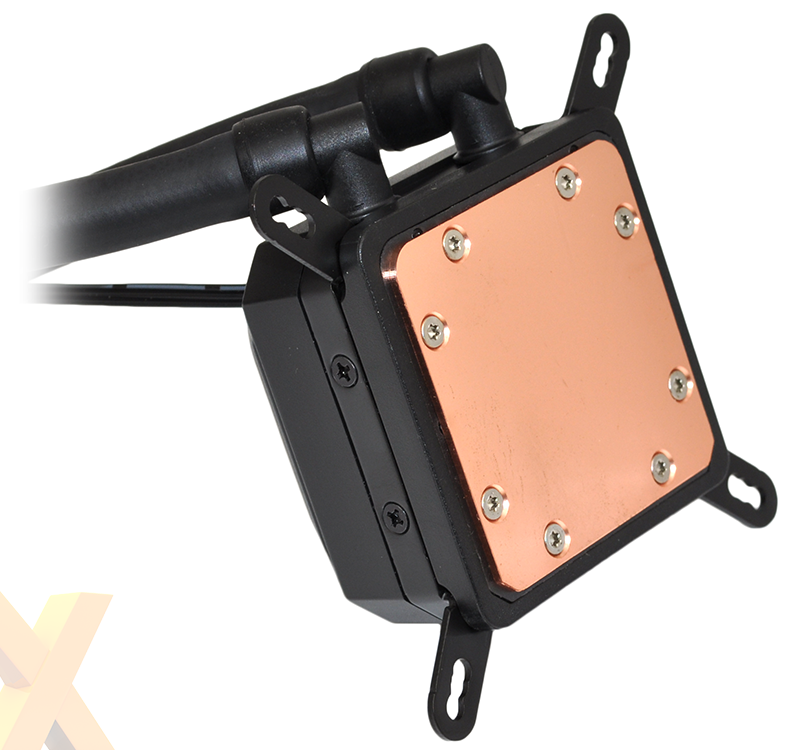 Compatible with the latest Intel or AMD sockets, installation entails attaching a backplate to the rear of the motherboard, fixing the standoffs and then clamping the pump assembly on top. Simple, and given the dimensions of the radiator and fans, compatibility is certain to be more forgiving than most other 240mm units. The question that remains, of course, is how will the low-fat profile impinge on performance? The combination of a slimmer radiator and smaller fan blades is certain to reduce the TD02's cooling capacity, so let's see exactly how it fares.